It’s that time of year again: time for dry winter skin. You can slather on all the lotion your heart desires but why not take a slightly different approach and give dry oils a test? Because of its greasy nature, oil is the black sheep of the beauty world but just as there are good oils for your diet, the right natural oils can keep your skin moisturized, smooth, and glowing without the residue. Why? Oils have essential fatty acids to nourish your skin and give it a protective barrier that we all crave during winter. 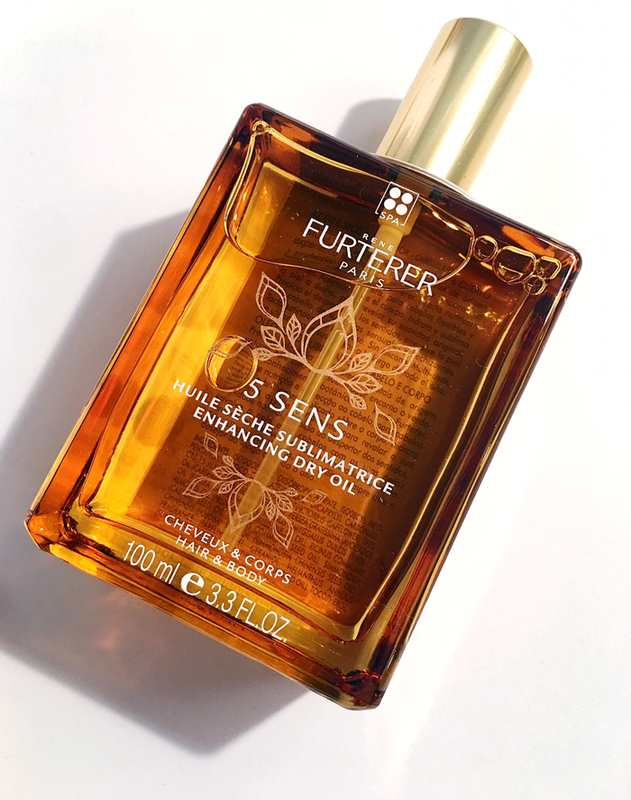 My personal favorite is Rene Furterer 5 SENS Enhancing Dry Oil which is a unique blend of five natural plant oils. When applied to the body (after a shower), it moisturizes and adds a glow while quickly absorbing for now slipping and sliding. For precise application and optimal results spray 5 SENS Oil in the palm of your hand or directly onto your hair or body and do NOT rinse. Editor’s Tip: It can be used on both damp or dry hair but I’ve found post-shower and pre-blowdry is optimal. Also, a little goes a LONG way!